Did you know that The Witcher 3 is moddable? As an upstanding PC gamer, you ought to—sweeping mods to accompany the official Enhanced Editions have given extra life to every game in the series. These range from the standout Witcher 2 Full Combat Rebalance to the unusual move of replacing every fight in The Witcher 3 with a game of Gwent. Yes, all of them. CD Projekt Red, in association with ESL, has trawled the Nexus modding community to name its top Witcher 3 mods and compiled them into this rather handy video, including a mix of quality of life improvements and the considerably more odd. 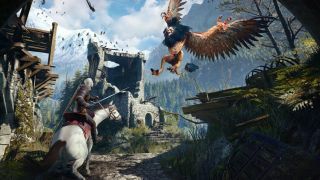 And if that leaves you hungering for more ways to make Geralt's adventures stranger, we've got a healthy list of our own.